your photos are fantastic! i’m painting right now, and the internet is really slow as well, but i’ll be back to enjoy more! 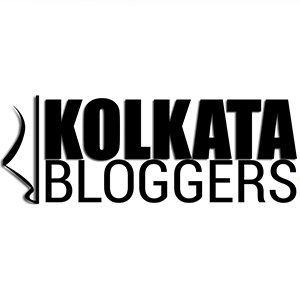 I am following your blog to be close to Kolkata through your photographs..
Just acknowledge if you do not accept awards. Thanks so much for the like on my blog. Very interesting photographs on yours. Thanks for finding me and liking my posts. Your posts are very colorful and educative. Thank you! I find your blog very interesting! Hello Mr. Know-All delighted to meet you. My first visit and I like what I see and look forward to enjoy and learn. Here’s wishing you wonderful days ahead. Thanks for the follow– made me discover another great photo blog such as yours. Have a good day! Of course I do. 😉 I become a little concerned when I don’t hear from family and friends for a while, so I have check on them. I’m happy you are okay. Everyone should take a break from the blogasphere and involve themselves more in their local real world life. 😀 Learning French is wonderful. I’m rather partial, being part french, although I remember very little of the language. It is beautiful. Have fun! hOur company offers a wide variety of non prescription products. Take a look at our health portal in case you want to feel better with a help health products. Our company offers supreme quality weight loss products. Look at our health contributing website in case you want to look healthier. Our site offers a wide variety of non prescription drugs. Visit our health portal in case you want to to feel healthier with a help health products. Our site offers a wide variety of non prescription drugs. Look at our health portal in case you want to feel better with a help of generic supplements. Our company offers a wide variety of non prescription drugs. Take a look at our health site in case you want to look better with a help of health products. Our company offers supreme quality supplements. Look at our health contributing website in case you want to improve your health. Our company provides a wide variety of non prescription products. Look at our health website in case you want to to feel healthier with a help general health products. Our company provides non prescription products. Take a look at our health contributing website in case you want to feel better. Our company offers a wide variety of non prescription drugs. Take a look at our health site in case you want to look better with a help generic supplements. Our company provides a wide variety of health products. Look at our health contributing site in case you want to look better. Our site offers a wide variety of non prescription drugs. Visit our health portal in case you want to feel better with a help generic supplements.